Flex Zhuhai is by far the most inclusive company we know of in China, within a workforce of above 40,000 employees in Zhuhai Guangdong, they hire over 500 (!) employees with physical and hearing impairments included equally and respectfully throughout their operation. Wanting to take the next step of Inclusion, Flex together with the Inclusion Factory have established the Flex Inclusion Factory! An internal workshop within Flex’s, operated solely by people with intellectual disabilities to which production lines can “outsource” assembly tasks. Together, in a unique project (arguably done for the first time China-wide), and which spread over a time period of 6 months, Flex became a true role model for the Inclusion of People with Intellectual Disabilities into the society, through meaningful employment, high quality vocational training & most notably – offering equal opportunities to those who deserve them! We wish to take this opportunity to thank Flex’s amazing, open-minded team; from the top management all the way to the last operator – for their willingness to accept, support and contribute towards a more equal and inclusive society! The ideal candidate is an experienced social worker, a person who loves working with people who have intellectual and mental disabilities. You will be given all the resources needed to start new projects, to further develop our Social Inclusion Academy program, to initiate transition program for special education school graduates and to develop the life skills of our employees. We are looking for someone who is willing to learn, grow, and join us in leading the social inclusion of people with disabilities in China. You will work in an international and open-minded work environment. You will take part in inclusion related conferences and activities – great way to build your future career in the field of social entrepreneurship. Lead the entire social program aspect: target cooperation partners, develop curriculum, design and deliver lessons, communicate with universities, build presentations, teaching independent life skills. Assess the progress and development of the programs and of each employee and design future action plans. Work closely with our team of professional job coaches and production supervisors, assist them in developing our employees’ skills and abilities. http://www.inclusion-factory.com/wp-content/uploads/2018/10/HR-feature-pic-04.png 806 994 Zoe http://www.inclusion-factory.com/wp-content/uploads/2016/12/logo-incf-H2lines-H118-20161202.png Zoe2018-10-18 17:58:432019-03-11 12:04:26Welcome to our Team!欢迎加入我们! ECOVIS Ruide China represents the ECOVIS Group in China and supports The Inclusion Factory with a wide range of services in accounting, financial management and auditing. We are particularly grateful to Mr. Jay Su and the whole ECOVIS Ruide China team for their dedication and hands-on commitment to help creating and implementing an efficient and transparent financial strategy for The Inclusion Factory project. Inclusion Factory’s 2017 Corporate Social Responsibility Awards were awarded on March 30th. for their outstanding support as the Inclusion Factory biggest customer in 2017! 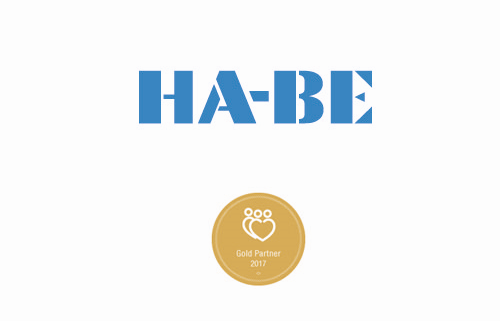 Second year that HA-BE is covering Inclusion Factory’s need for IT service, by sponsoring the service agreement with our IT supplier. In addition, HA-BE is also supporting us with special design and manufacturing of production fixtures. Interested to know how can your company support and benefit from our CSR packages? See more info here: How to become a partner? The Taicang Inclusion Factory would like to thank Taicang municipal government and the Taicang Economy Development Area Bureau for awarding our project with the 2017 social responsibility award! The inclusion Factory project could not have become a reality without the strong cooperation, outstanding support and innovative spirit of the Taicang Local government! Taicang is known for setting the standards for High-quality manufacturing and solid cooperation with foreign enterprises; Now, Taicang is also known for its leading role in promoting social inclusion and the creation of equal opportunities for people with disabilities in our society! And may we have an even more prosperous 2018, together! Due to the success of our previous Disability Equality Training and to the constant inquiries by companies, we are happy to announce that the next workshop will be conducted on April 16th -17th. There is a possibility to conduct a custom made separate training for HR managers, production employees etc. Below are some of the GREAT feedback received from the participants – as we promised, it is a mindset changing experience which exposes Managers for a whole new set of ideas and concepts! Please register well ahead as the number of participants are limited. See you on April 16th to 17th in our next training!